We use professional quality checkers who check every page for possible errors so you don't have to. We use the latest online technologies to ensure low operating costs and competitive prices! Amimaru is a localization company with a passion for Japanese manga. 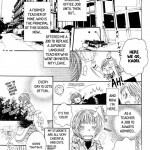 We started translating manga in 2013 and since then have translated tens of thousands of pages. Our translators, typesetters and editors are carefully picked professionals who share our enthusiasm. 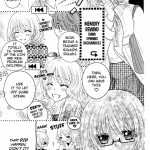 Focusing on manga means that all elements of the original work, such as nuances and sound effects are adapted into the target language with great clarity. We translate any Japanese manga regardless of genre and we'd love to hear your special requests concerning lettering and translation style. We translate from Japanese to English, French, and Finnish, as well as to other languages on request. We also localize anime and Japanese light novels. Being manga fans ourselves, we can provide translations that are guaranteed to gain your audience's approval. We pay attention to the visual aspects of Japanese manga so the lettering will match the original artwork. We offer friendly service around the clock, and we're happy to listen to your special requests..
Japanese manga is full of unique characteristics that make Japanese manga challenging to work with. For example, Japanese grammar and word order is very different compared to any other language on the planet, and many expressions and onomatopoeia seen in manga will make little sense to foreigners unless properly translated. We are here to give you the access to the best knowledge of Japanese language and culture and a focus on speech that's used in manga, anime and other popular culture contexts. 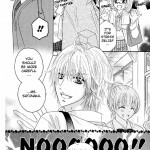 In addition to quality translation, we think that lettering is equally important when working with manga.